We are back for another week. Ready to get my … Interesting take on movies? 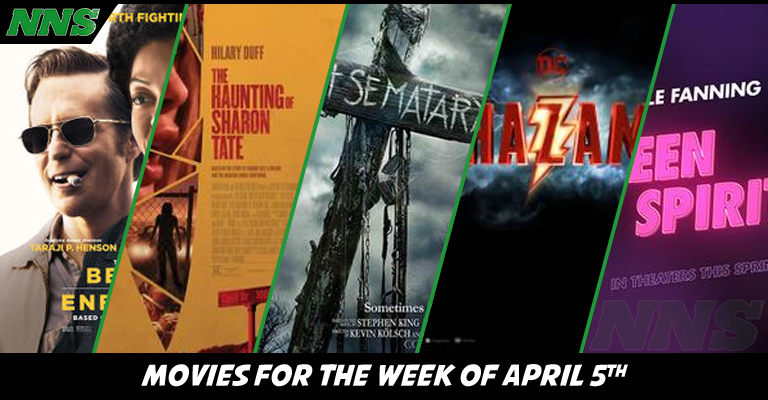 Here is what movies are coming out tomorrow, and if we suggest you watching them. Racism has raised to a fever pitch in Durham, North Carolina, as an accident destroys a black school. 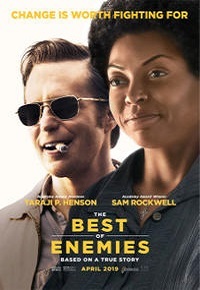 Schools must be desegregated and C. P. Ellis the local Ku Klux Klan leader, played by Sam Rockwell, and Ann Atwater a civil rights activist, played by Taraji P. Henson, must work together to find a solution. As the events play out, angers in the town rages, and C. P. Ellis’s racism is put to the test. Both Rockwell and Henson are amazing. This story is important, to showcase that when you get to know people as individuals, and not stereotypes, racism does not survive. Both actors have the skill and power to pull off this important story. I highly recommend it. Focusing on the tragic tales of the cult of Charles Manson, and the murders of Sharon Tate, this movie takes you through the events that lead to her raising up in Hollywood, having a child with Roman Polanski, and her ultimate murder. This film is going to be dark, and because it’s a well known case. The conclusion is very clear. Be forewarned, Sharon Tate was murdered before giving birth to her child, so trigger warning to people sensitive to that, and is not aware of the story. 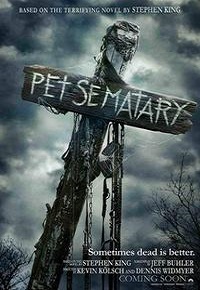 Pet Sematary is the story of the Creed family and their moving from Boston to rural Maine. After discovering a disturbing cemetery, Dr. Louis Creed, played by Jason Clarke, turns to his neighbor Jud Crandall, played by John Lithgow, but the truth is terrifying and tears this family apart with evil. In a time of remakes. It seems that Stephen King is … well King. With multiple of his books which were made into movies and miniseries, being re-made once more. From IT to Pet Sematary. What is next? The acting cast seems solid, but the story has been done before. I expect you won’t be surprised. 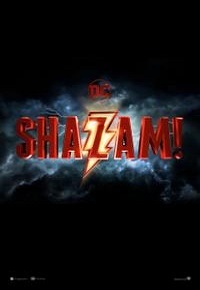 Billy Batson is a 14 year old lost within the foster system, when he gets a lucky break, by being placed within a new family. While connecting with his new foster sibling, he stands up to his bullies, and then is forced to flee. In the process of escaping, Billy is summoned by the prior holder of the power of Shazam. Having shown pureness of spirit, the holder passes the power on to Billy. Billy learns what his is capable, and that being a hero isn’t just fun and games, but but it takes a level of dedication. DC is attempting once more to dip it’s toes into comedy to save it’s fledgling DCU while also releasing the Joaquin Phoenix Joker Else-world movie. That being said, it’s an amazing looking film, with Zachary Levi embodying the role of a child in the body of a super hero. It looks… heh… electric. Violet a polish girl, played by Elle Fanning, enters a local singing reality show. She has been trained and prepared for this, and catches the eye of a talent agency. She has a chance to make it big right away, but she’d have to sacrifice all that she has done to get to where she is now, or take her chance with the contest. This looks interesting, and if you are a fan of music, it boasts a lot of amazing songs, re-sang specifically for this movie.